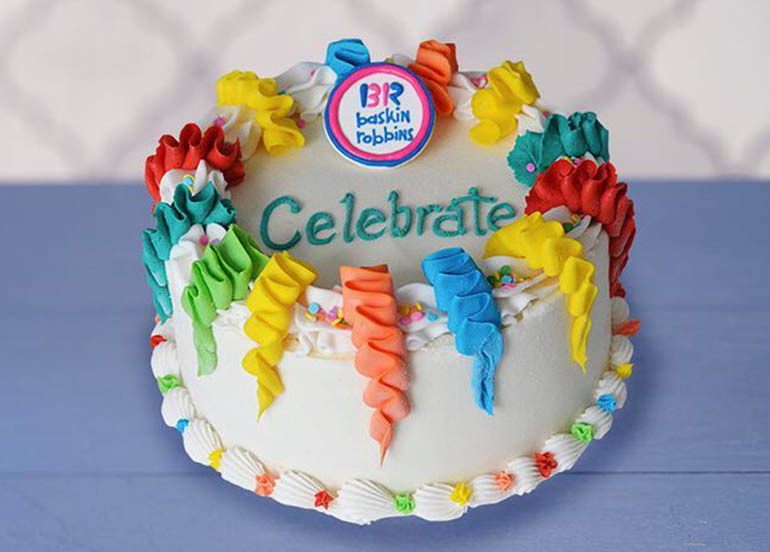 Let’s admit it, celebrations aren’t complete without cake! 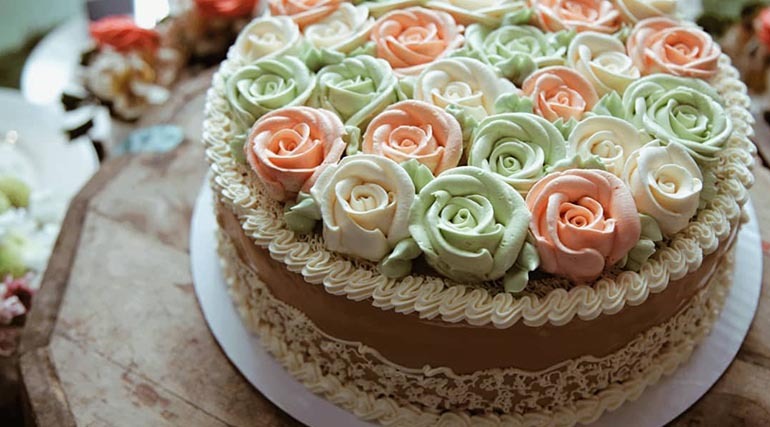 Whether that’s a simple, one layer cake or a sophisticated tiered cake with unique flavors, cake is surely one of the things that’ll make your day sweeter and o so much more special! 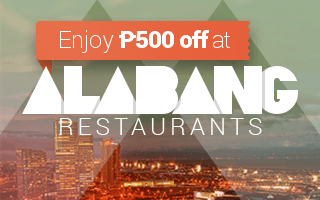 READ MORE: Check out the Top 10 Most Loved Restaurants in Metro Manila this month! 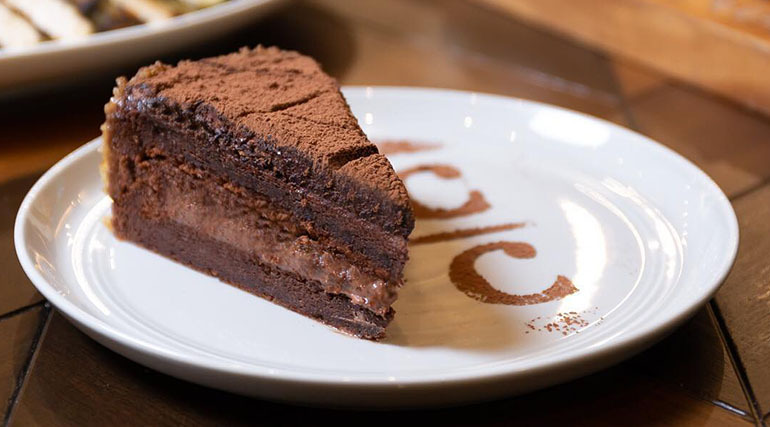 Craving for a piece now? 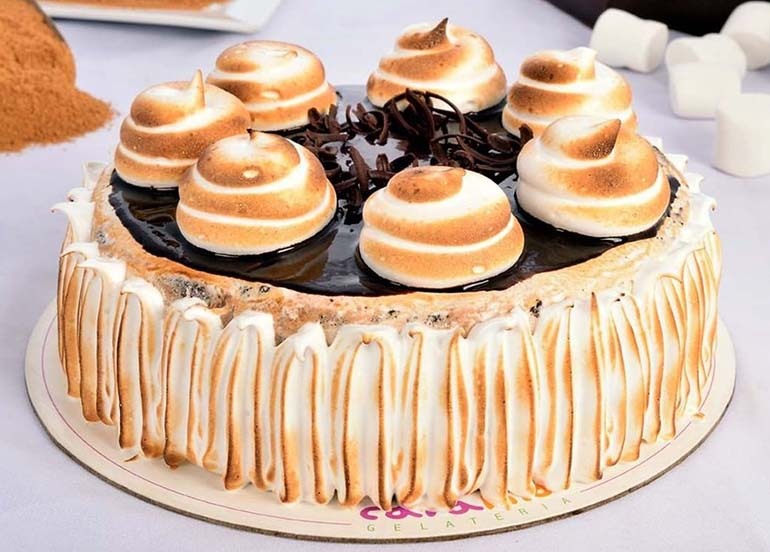 Check out the list we’ve curated just for you of 20 of the Best Cakes in (and beyond) Metro Manila that’ll surely satisfy your sweet tooth. 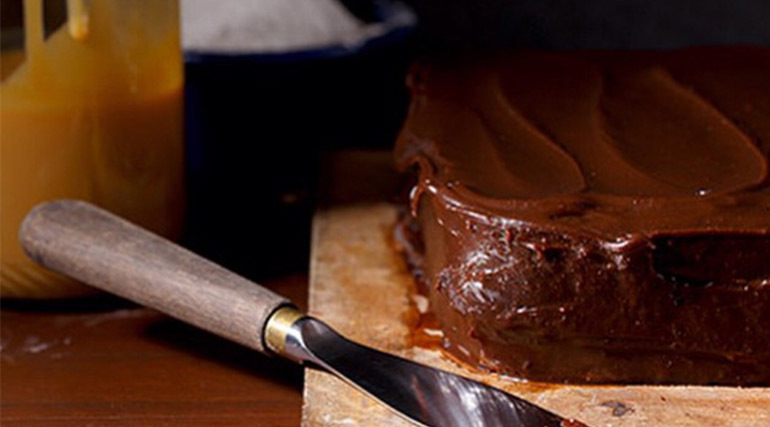 It may be the most basic of all cake flavors, but nothing beats a slice of a rich, moist chocolate cake. 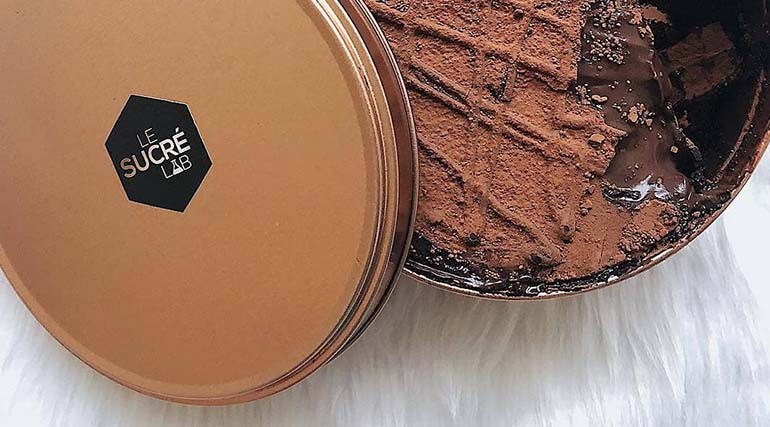 If you’re social media savvy, then you’ve probably stumbled upon Le Sucre Lab. 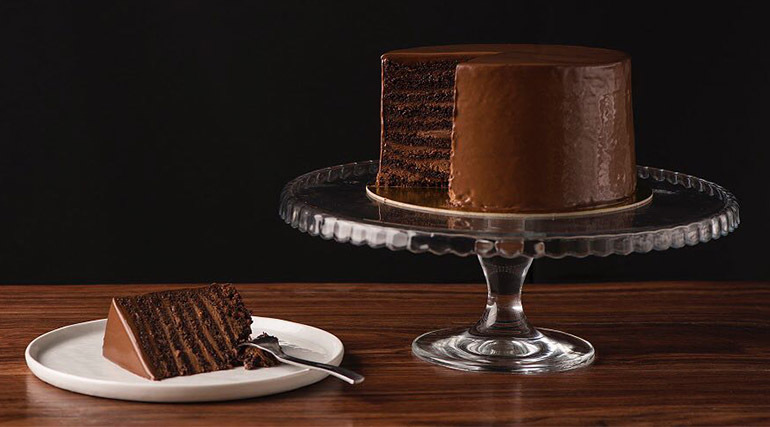 Popular for creating the chocolate dreamcake – chocolate cake in a tin – they also serve dreamcakes in different flavors as well as truffles. 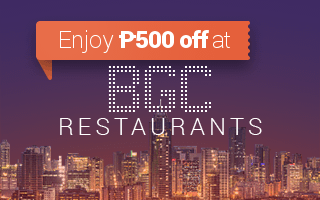 A restaurant owned by Chef Baba Ibazeta-Benedicto – the chef also behind Classic Confection, Nono’s serves modern Filipino comfort food. 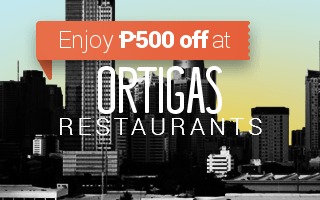 Get your fix of all-day breakfasts, big plates, pastas, and familiar main dishes. 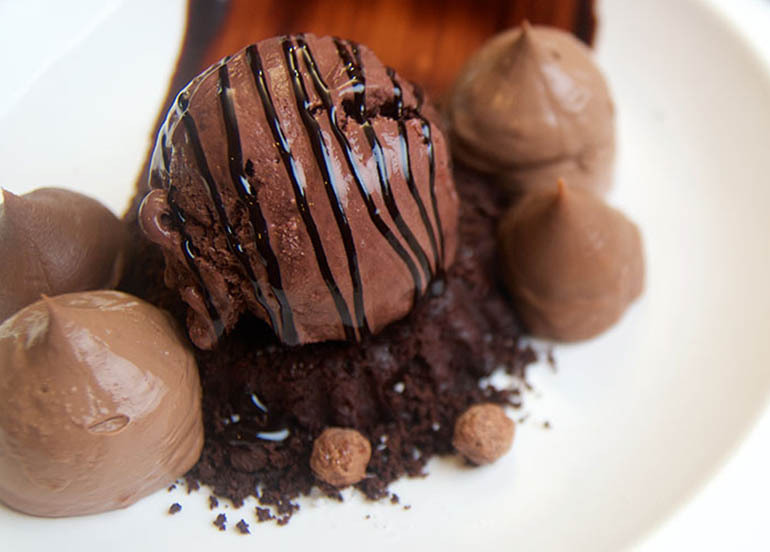 If you love the desserts at Le Petit Souffle, you’ll love Workshop. 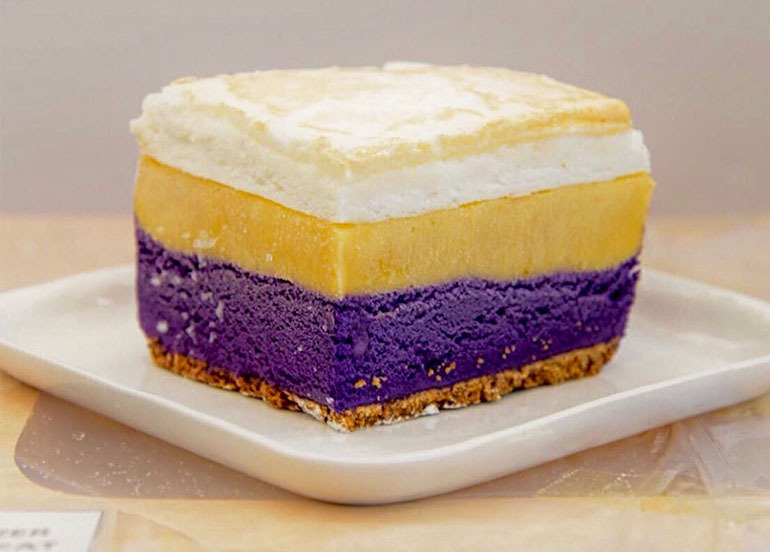 From the creative minds who gave us Scout’s Honor and Poison Doughnuts, Chefs Miko Aspiras and Kristine Lotilla’s bespoke bakery serves up desserts that’ll surely satsify your sweet tooth! 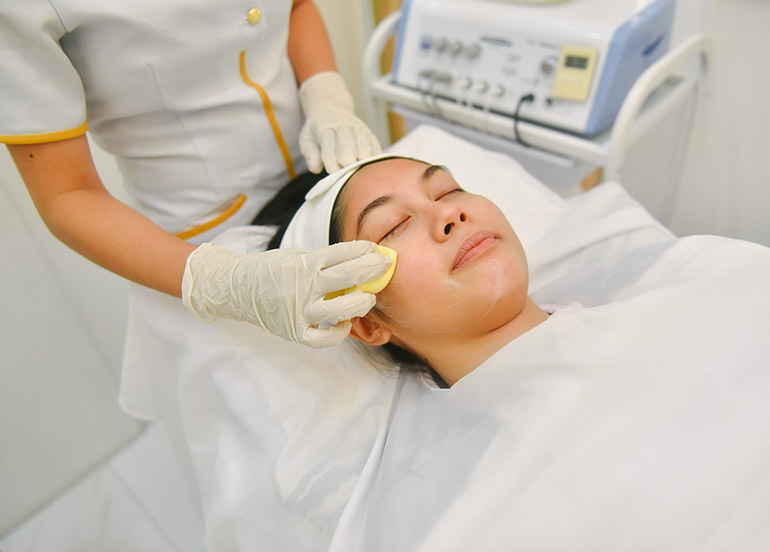 A popular home-based bakeshop located in the heart of Dasmarinas Village, Dimpy’s treats no doubt proves that deliciousness can be a combination of the simplest ingredients. 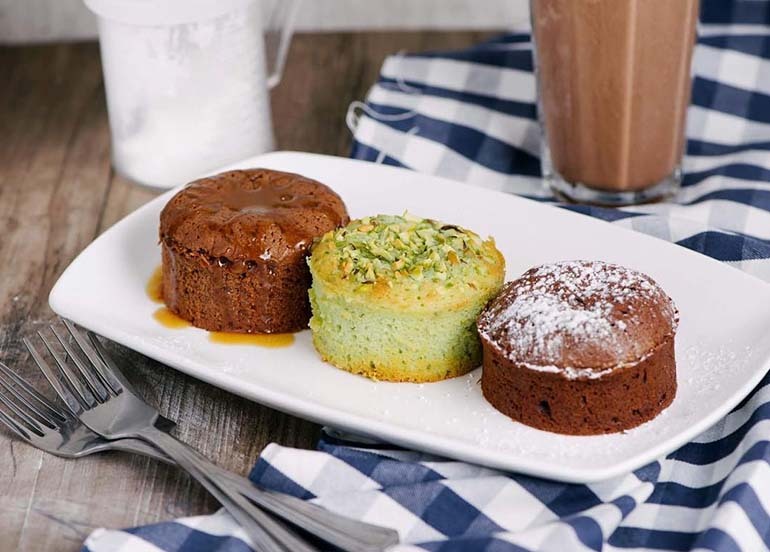 A dessert with something sweet hiding within it’s walls, Lava Cakes are perfect a bit warm and accompanied by a scoop of vanilla ice cream. A large restaurant with an upscale food hall setting, The Food Hall by Todd English will take you around the world within 9 different food stations through their dishes inspired by international cuisines. 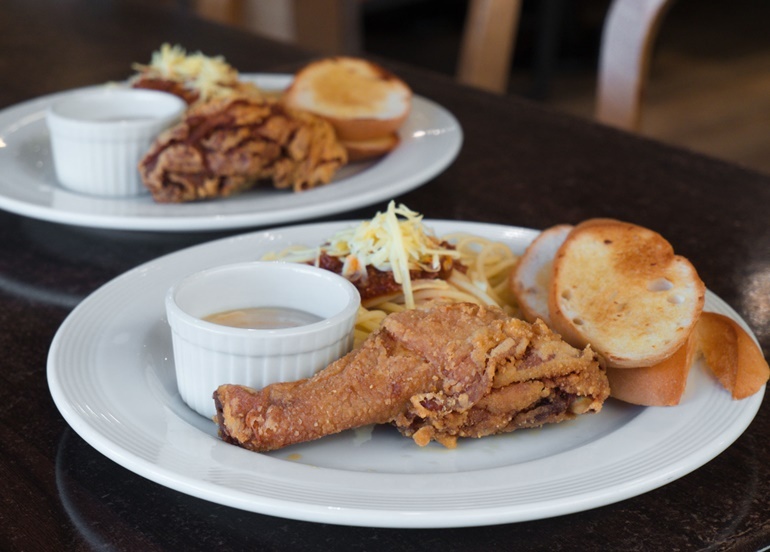 A go-to restaurant for comfort food, Cafe Shibuya will whet your appetite with their menu filled with a wide selection of dishes perfect for lunch and dinner as well as drinks and desserts! Meet your match-a at Tsujiri, a Japanese matcha brand that serves up authentic, premium green tea drinks and matcha infused desserts. 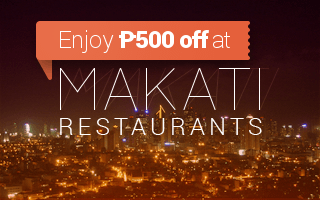 Insider tip: With Booky, you can get Buy 1 Get 1 Kuromitsu Jelly Latte for only ₱250! If you’re looking for something that’ll surely satisfy your sweet toothed friend, then we suggest that you get them a whole caramel cake. 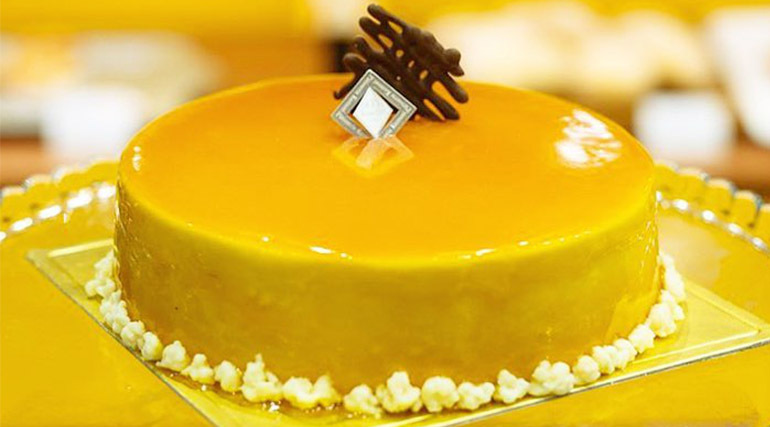 A home-based cake supplier in Bel-Air, Makati, Costa Brava has been around for years now serving up nostalgic, comfort desserts. 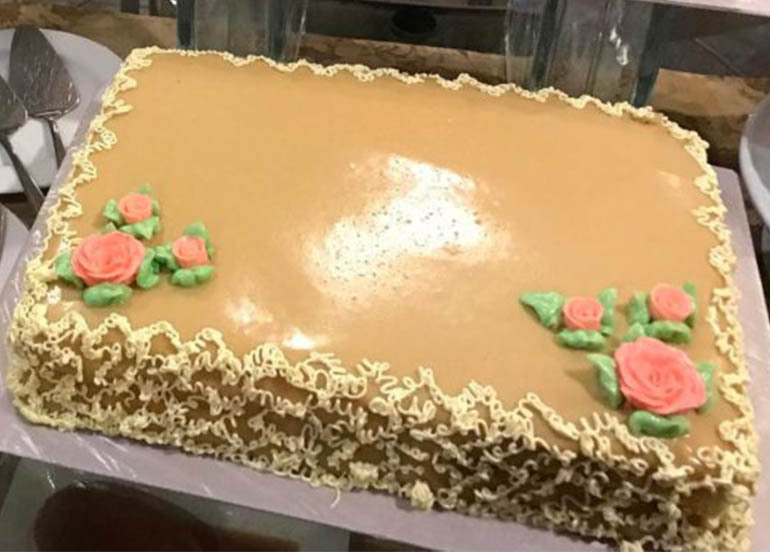 Popular for selling pastries especially their luscious caramel cake, Estrel’s has been there for every celebration for more than several decades. 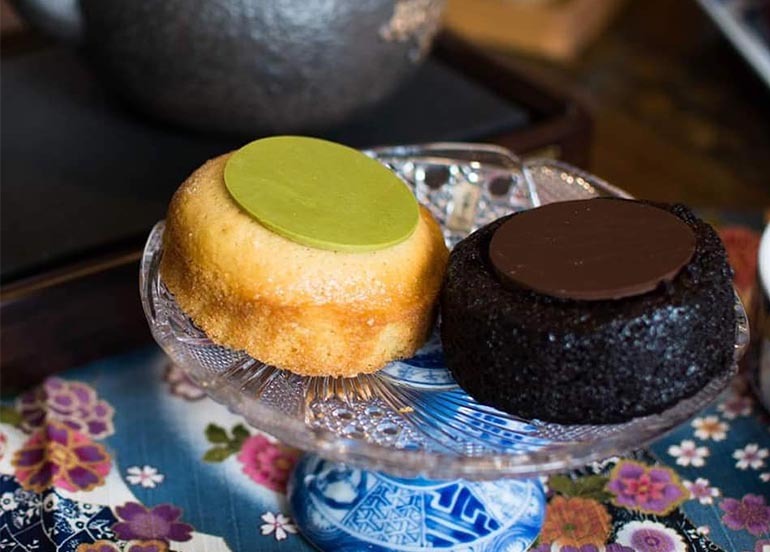 A quaint, Japanese bakery and cafe, Kumori offers fresh and authentic Japanese bread and pastries that are light on the tongue and no doubt, satisfying. 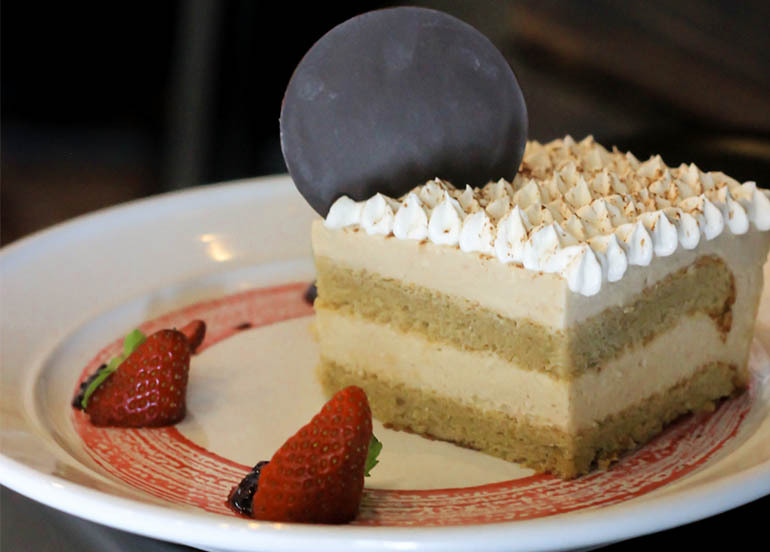 If you want just the right amount of sweetness, then we suggest you get a Tiramisu Cake. It’s perfect balance of sweet, bitter, and creamy are enough to give you exactly what you’re looking for. 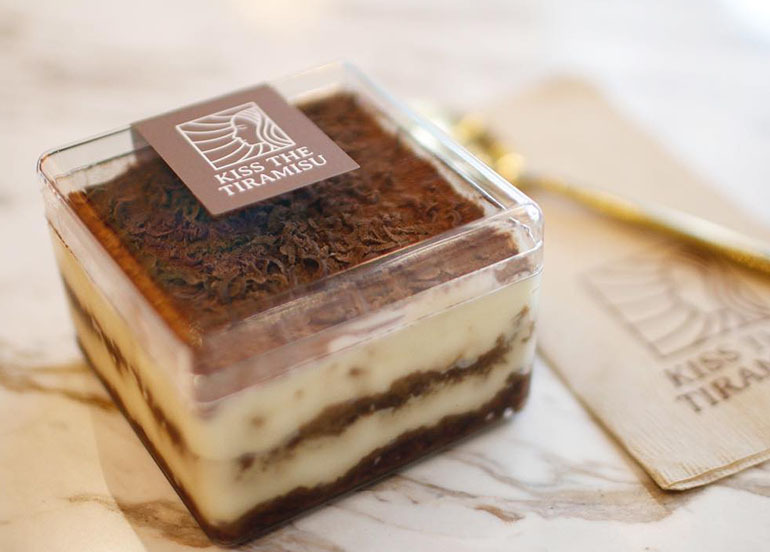 Straight from Seoul, Kiss the Tiramisu may be known for offering a dessert that combines tiramisu and ice cream, but they’ve got so much more to offer and by more we mean sweet treats perfect for breakfast, after lunch, and after dinner. 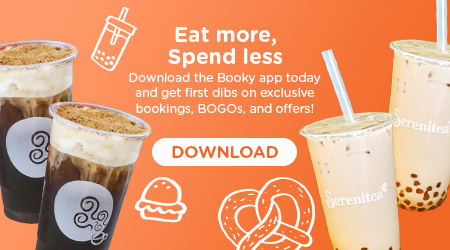 Insider tip: With Booky you can get Buy 1 Get 1 Fruit Drinks, Kissing Coffee, and Sikhye! 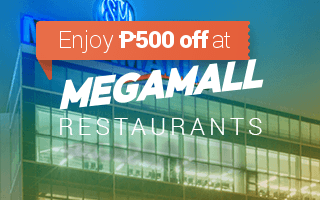 Click Here to Open the App and Claim the Offers! 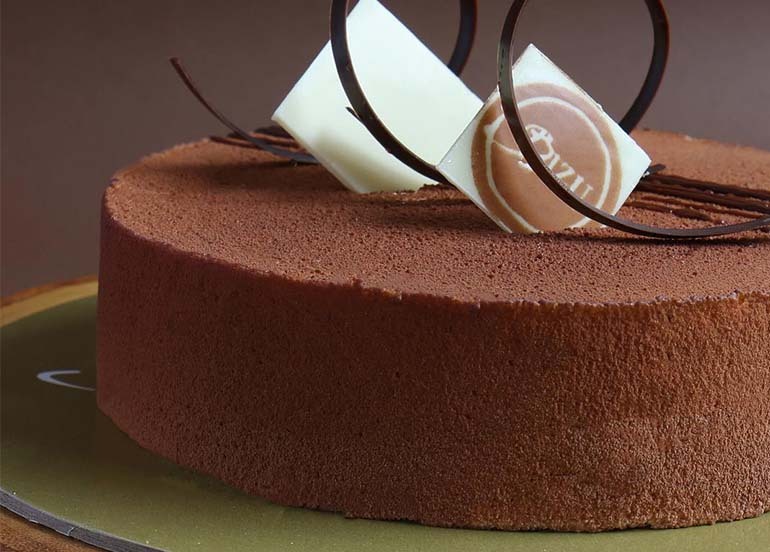 Get a taste of Paris at Bizu, a premier French patisserie offering signature Parisian-style pastries and desserts. 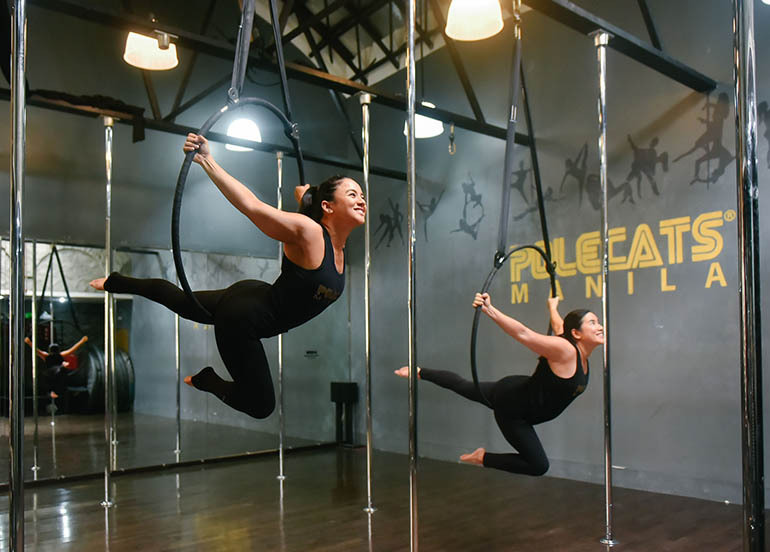 A casual wine and dine spot in Maginhawa, bring your friends at Grape Escape and you’re sure to have a night of fun, honest, and straightforward dining. Sometimes one scoop of ice cream isn’t enough to cool you down. 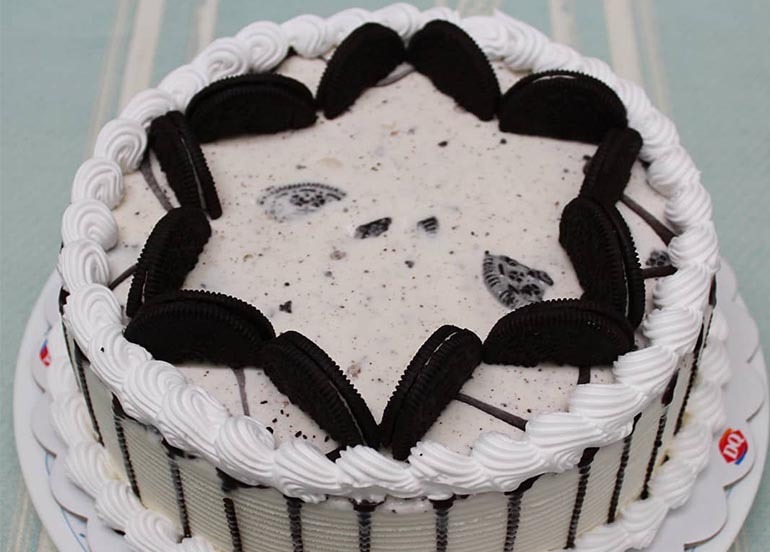 So, instead, get a slice (or two) of a whole ice cream cake! 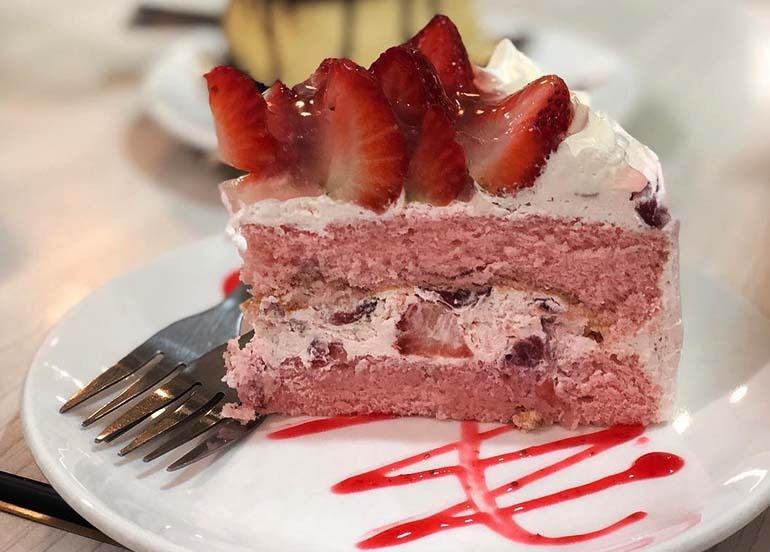 Offering frozen sweets and treats in a cup or in cake form, Cara Mia’s Cakes and Gelato’s sure to leave a smile on your face with every bite. Known best for serving up blizzards, Dairy Queen is the place to go-to when you want a simple yet exciting cold, sweet treat on a hot summer’s day. Insider tip: With Booky you can get Buy 1 Get 1 Regular Oreo Blizzards which you can claim three times! Serving up premium frozen desserts, beverages, and ice cream in 31 special and unique flavors for each day of the month, Baskin-Robbins has been serving these cold treats in nearly 50 countries, including, of course, the Philippines. Insider tip: With Booky, you can enjoy Buy 1 Get 1 ice Cream Scoops on three flavors - Love Potion #31, Maui Brownie Madness, and Rainbow Sherbet Junior Scoop! 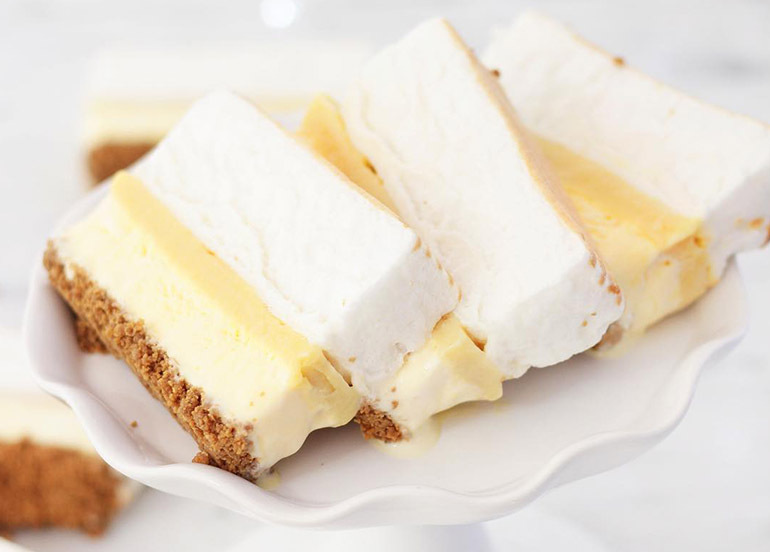 They make look much but don’t be fooled, Frozen Brazo Cakes are surprisingly light and have nostalgic Filipino flavors that every member of the family can enjoy. A bakery that offers cookies, cupcakes, mini cakes, Bellefleur by Beatrix offers treats that can either have familiar flavors or out-of-the-box ones for the more adventurous of sweet tooths! Offering up savory snacks to munch on as well as sweet treats to balance them out, have a sweeter life or at least end your day on a sweet note thanks to Sweet Life by Ange’s desserts! 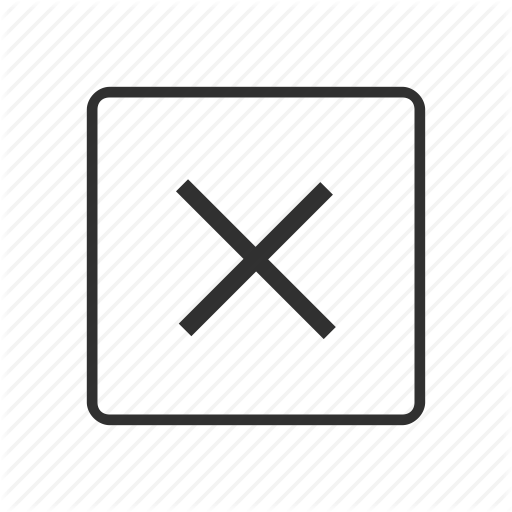 Not one to color in the lines? 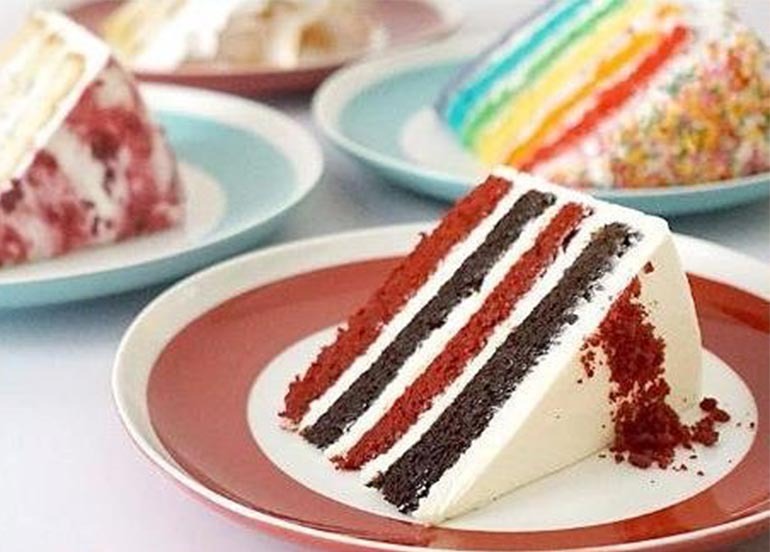 Check out these out-of-the-box, not-your-ordinary cake flavors that are just as unique as you are! One of the most loved gourmet brands, Cupcakes by Sonja goes above and beyond by serving up various delectable desserts perfect for sweet tooths! 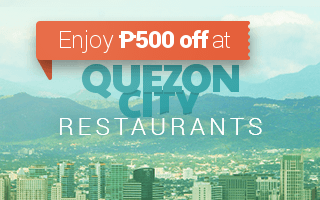 Insider tip: With Booky you can get Buy 1 Get 1 Cake Slice for only ₱150! 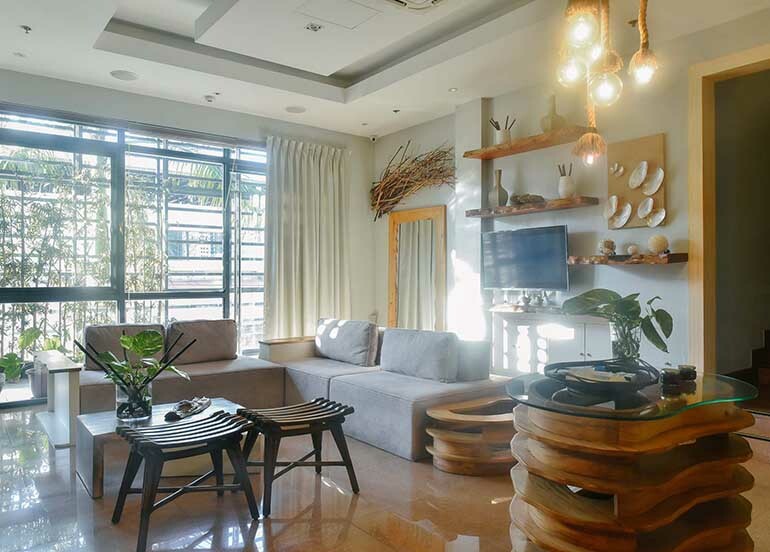 A restaurant and cafe in Baguio, if you’re planning to have weekend brunch or a heavy meal after finishing your weekend activities, might as well head on to Vizco’s. 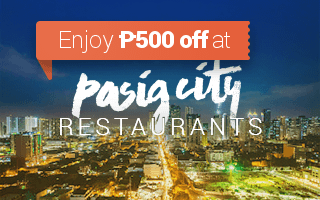 You can now book a table via Booky and get up to 500 pesos off your bill at over 500 Prime restaurants across Metro Manila–that’s money you could use for even more chocolate cake! 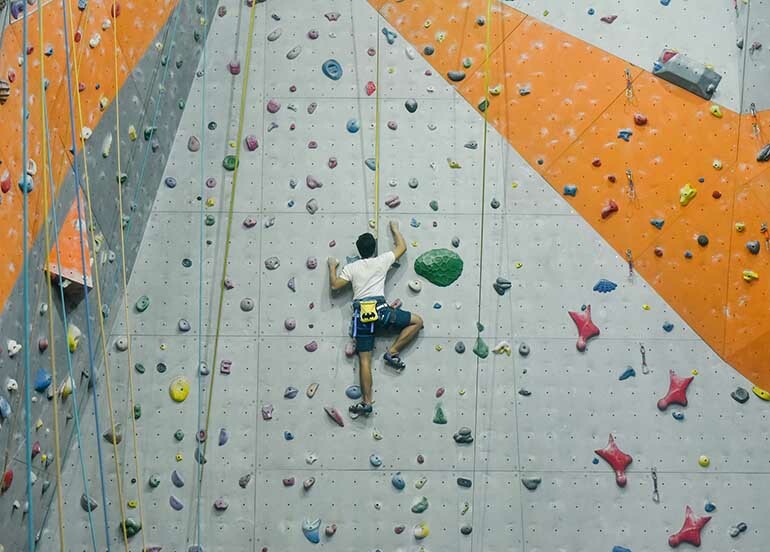 Don’t forget to show us your own drool-worthy photos by tagging us on Instagram, @bookyapp.